Personal: this is a loan that enables you tobuy a motorcycle, car, boat or even go for a vacation. They finance up to 90% of the value of the vehicle you want to own.the repayment period is of up to 5 years for a new vehicle and 4 years for 2-3 year old vehicle. Construction: a loan enables you to construct a new home, the repayment period is of between 9 and 12 months during the construction which can easily be refinanced into an amortizing 15-30 year loan once the construction is complete. Vacant land/plot: a loan facility that finances your need to buy a land or plot for future construction. Home improvement: a loan that enables you to expand or improve on your home. Lines of credit: a short term loan for payroll,purchases and cash flow needs. Equipment: an amortized loan that is made available to you for urchase of new equipment or use of already existing equipment as security for the expansion of your business. Real estate: this is a loan for buying or refinancing an existing occupied real estate. Investment properties: whether you are investing on an apartment project, family residential property, office, warehouse or retail space KCB offers a you a loan that is tailored to meet your needs for the purchase or refinancing your investment properties. 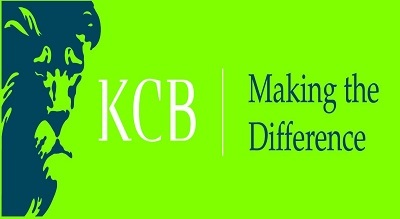 Construction: KCB offers loans for commercial project and family custom and speculative homes. The interest is only paid during the time of construction and you are offered permanent financincg options when the construction is complete. Agriculture: you can use lines of credit with KCB to finance the seasonal cash flow for both cattle and crops. Letters of credit: KCB ensures that letters of credit are made available to you enabling you to meet your vendor’s requests for utilities, taxes and even construction jobs. For a loan that you might take as an individual with KCB for which you must give a collateral such as land title deed the loan amount depends on your repayment capabilities and the repayment period is of up to 5 years. The standard requirements for such a loan are; an existing account for at least 3 months with KCB, your income must be channeled through KCB account, letter of introduction and copy of either a recent bank statement or pay slip. For loans of up to Kshs.3 million the repayment period is of up to 5 years. Unsecured loans: the requirements of such a loan with KCB are; KRA pin, original ID, an existing salary account for at least 3 months, recent 3 months pay slips and two copies for each, your net pay must be Kshs5, 000 and above and a verified loan form that has been signed by you authorizing the bank to the loan payment directly from the account. For loans of up to Kshs.3 million then the repayment period is 5 to 6 years dependant on the institution you work for. For the loans of up to Kshs.1 million the repayment period is of up to 36 months.